11:00 A.M.- 2:00 P.M.- Author Fest at the New London Public Library. 9:00 A.M - 1:00 P.M - East Lyme Middle School Archaeology Program. Thomas Lee House. 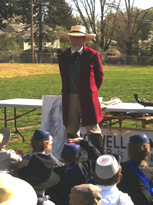 • May 24: Canton Intermediate School Civil War program. Not open to public. During the dark days of the American Civil War, promises, sometimes spoken and sometimes unspoken, might often be all people had left to keep up their spirits and give them hope. Cynthia and Coswell Tims' survival would depend on such a promise. Their alliance was a strong one, but escaped lunatics, jealous neighbors, ruthless slave speculators, emboldened home guards, Yankee invaders and ever-present racism would test their resolve. Expertly written and historically grounded, the saga of Coswell Tims and his wife, Cynthia, continues on through the perils of war and change. From two diaries, the author draws forth the story of a southern Civil War era family and with the aid of a modern side story, offers the reader a compelling case for what true love can make possible. 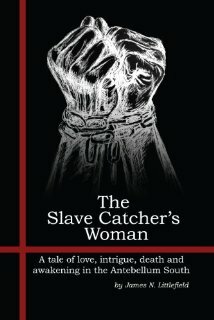 This is Jim's second book on the challenges faced by Coswell Tims, slave catcher. Slave Catcher's Woman (described below) was his first. An Archaeological Look Into the Past. Anyone who believes high school students incapable of making a significant contribution to history has not read this book. Exchanging the classroom for a calibrated hole in the ground and textbooks for trowels, students begin a slow and meticulous descent into the past. Share with us a remarkable archaeological journey back in time, with special thanks given to the old timers, who left tantalizing clues behind for later generations to piece together their stories. Expertly researched and vividly written this historical novel (with its memorable cast of characters, intriguing twists and turns, and unencumbered portrayals of life during the pre-civil war south) invites the reader to venture upon an unforgettable, enlightenng journey into one of the most controversial periods of our history. Georgia bounty hunter Coswell Tims is the focus of this story. As one reviewer said, "Tims' voice is that of an engaging backwoods storyteller who soon wins the reader's sympathy in this action-packed narrative of killings, fist-fights, knifings and kidnappings. 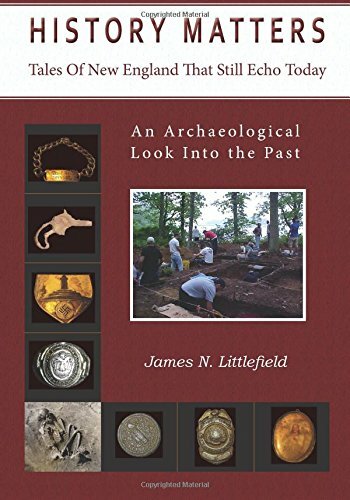 Interspersed between accounts of these adventures Littlefield manages to painlessly insert well-researched nuggets of American history ranging from riverboats to smallpox." 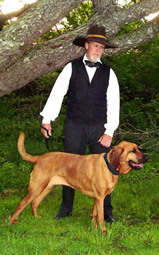 Jim Littlefield is a renowned teacher of American history and anthropology. A list of study or discussion questions is available to assist educators with their classes. 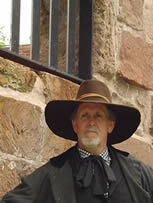 Jim portrays interesting characters from our past to aid people of all ages learn about history. © Copyright 2018 James N. Littlefield. All Rights Reserved.